Riding and work? 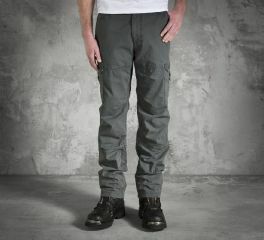 Wear a functional pants that will surely make you happy. Give a casual style sometimes, but still not losing the rebel-spirit. 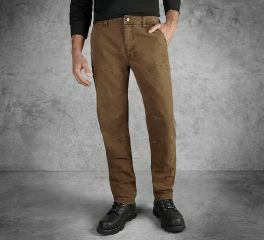 When your dirty, oil-stained, mud-slapped jeans need a wash, it's time to break in our Cargo Pant. Rugged cotton ripstop gets upgraded with manly style thanks to the cut and fit of these workhorse cargoes. And of course we load up on pockets. For more on comfort and long-wear durability, read about the knees and kick panel in the bullets. 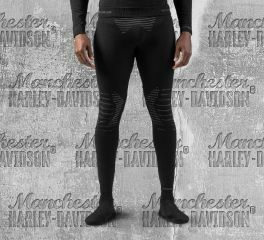 A base layer that elevates your riding experience. The FXRG® Base Layer Pant features innovative fabric construction that works to monitor warmth, coolness, odor, and moisture wicking for comfort in all kinds of weather conditions. 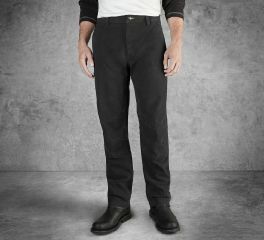 This lightweight men's performance pant fits smoothly under riding gear. And because the fabric flexes as you move, it won't bulk, bunch, or stretch out. With this much innovation and technology, these bottoms are a serious upgrade from the thermal underwear bunched up in your underwear drawer. Time to upgrade—check out the specs for more. Stay Warm: Lightweight construction helps retain body warmth. Stay Comfortable: Designed to wick moisture away through Sweat Traps at lower back. Skin Nodor technology helps prevent odor by inhibiting bacterial growth. Enhanced Riding Performance: The Air-Condition Channel with Zero-Insulation combined with the AirGuide cools the body and allows excess warmth to escape for the most efficient regulation of body temp and most comfortable ride. Excellent Fit: Close-fitting without constricting, this layer features Expansion Ribs at the knees to adjust when in a riding position without compromising functional and temp-regulating properties. Graphics: Knit-in stripes and FXRG® logo.